Hey friends! Here we are again, with the next monthly knitting update. I can’t believe December has been and gone already! It’s been a busy month, which is why you haven’t heard from me at all here, or much on Instagram, but it’s been the best! Between Sam and I, we’ve got lots of family to see over the festive period, so we’ve spent a lot of time socialising with our nearest and dearest, eating great food and generally enjoying the merriment! I thought I hadn’t got much knitting done in December, but now I look back I’ve actually been doing pretty well! 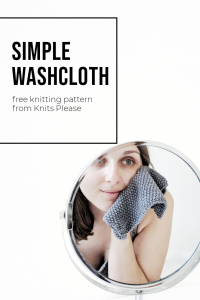 The biggest, and most exciting thing, was my second knitting pattern release! I’ve designed patterns for my favourite winter warming accessories, and I couldn’t be happier with them. You can see them all here, but I haven’t stopped wearing that bobble hat all winter so if you’re after a quick knit, I’d definitely recommend it! I was absolutely desperate to finish my puffer cardigan this month, and finish it I did! I needed to order a couple of extra balls of yarn, so there was a little delay on getting the sleeves done, but once I cast them on I had them finished in no time. I messed up a little bit on my decreases at the neckline, so the shaping isn’t as it should be, and my knit seems to be a lot tighter than the one in the pattern, but I’m really happy with how it turned out. It’s super warm, and the perfect thing the throw on while I’m hanging around the house. I’m so happy to be able to wear my t-shirts again, now that I’ve got this to keep my arms warm! It’s a little too chunky to fit comfortably under my coat, but I’m certain that it’s going to make a great outer layer when spring rolls back around, and it was such a joy to knit those diamond puffs! At the very end of last month I cast on a super simple seed stitch scarf, using the Willow and Lark yarn that I got from the Love Knitting Flock Party. I wanted something mindless to work on, to keep my hands busy but my mind free, and this was the perfect fit. I’ve been making really great progress on it this month, and I’m now well into my fourth and final ball of yarn, in this gorgeous pale grey colour. While it’s totally my style, I’m still keeping minimalism at the forefront of my mind, and I don’t really have use for another scarf. I think this one will become a gift, if someone would like it, otherwise I’ll find a worthy cause to donate it to in the new year. A little while back, my lovely Mum gifted me a few balls of a pale grey acrylic yarn she spotted and thought I’d like (she was right!). I’ve been looking for a pattern to knit with it for quite a while now, and I’ve really struggled to find something that feels like the right fit. If you haven’t noticed, I can be really fussy with my taste, so it’s no easy feat to find a pattern to fit my brief! After much Ravelry scrolling, I decided to work on an improvised design of my own instead. I’ve opted for a twisted stocking stitch with a split hem, and plan to have a deep-v neckline, and I’m very pleased with how it’s looking so far. The yarn is working up to be surprisingly soft for 99p per ball! Sam and I spent Christmas at his sister’s house, and she asked me to teach her to knit socks while I was there. Of course, I jumped at the chance, because hand-knit socks are the best, and sharing that skill is one of the greatest things I could do with my time! We had our very own mini knit-a-long and by the end of the few days we each had a full sock complete. Mine was the second in a second pair from my grey-dient yarn by my lovely friend Kate at Joanie Unravelled. 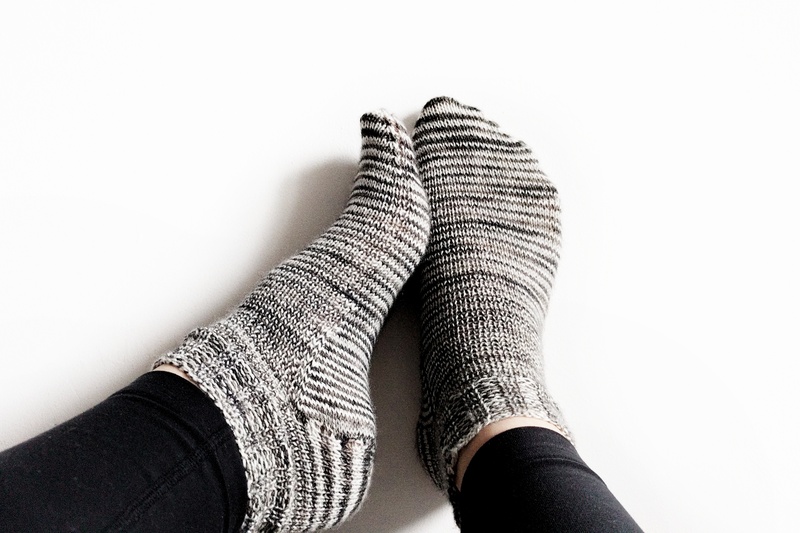 I absolutely adore them, and I’ve even got some more of the yarn left for heels and toes on another pair, which I think I’ll knit in a charcoal grey or black. Christmas at Amy’s was also super exciting, because I finally got to reveal the secret project I was knitting a couple of moths back – Ben’s Weasley jumper! 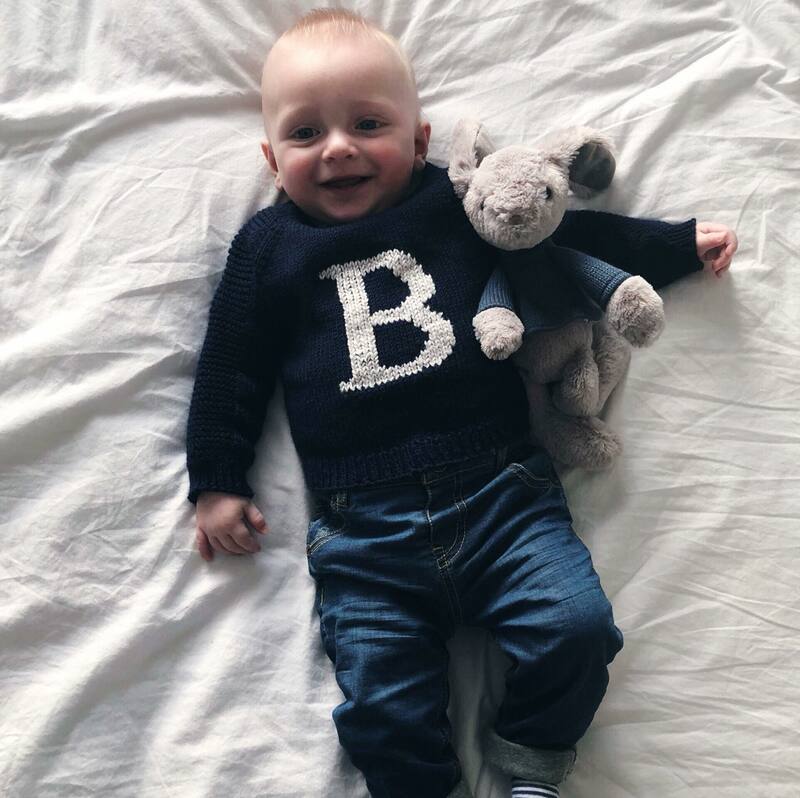 It was Ben’s first Christmas, and I couldn’t resist knitting up this adorable sweater for him. We thought he’d be a Ravenclaw, but it turns out he might be a Gryffindor after all, so next year’s will need a change in colour! I really loved knitting this. 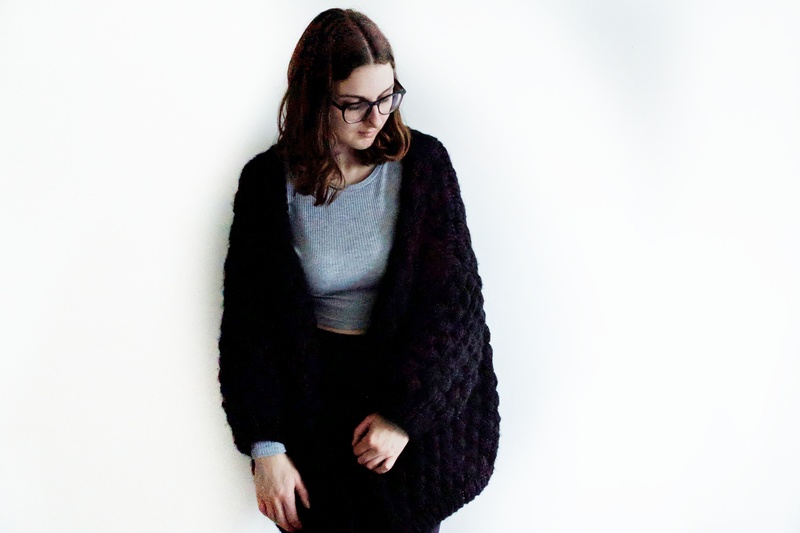 I used the Flax Light sweater pattern by Tin Can Knits (which is free! ), and I added the B after in duplicate stitch. Both the navy and silver yarns are Debbie Bliss Baby Cashmerino and I absolutely love this yarn. I’ve used it in a few projects now, and it knits up like a dream! 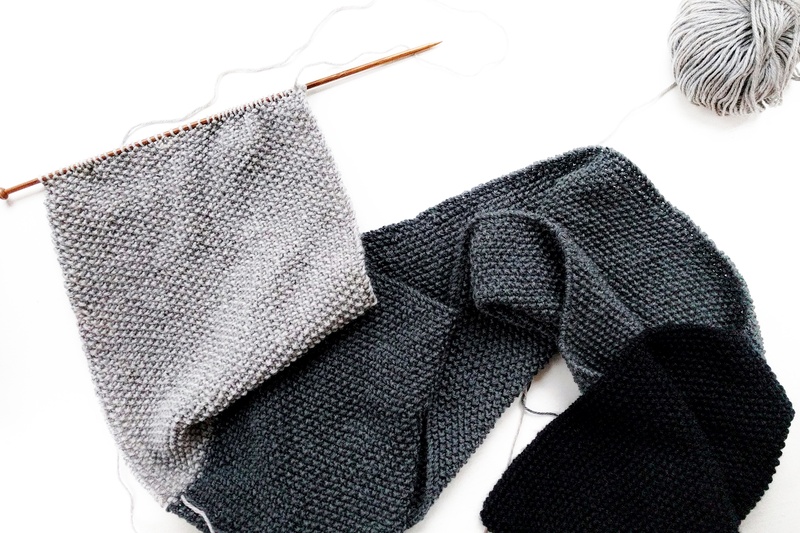 Now the month is drawing to a close, I’m focusing on my improv sweater and seed stitch scarf, but I’m sure it won’t be long before there’s something new on the needles! 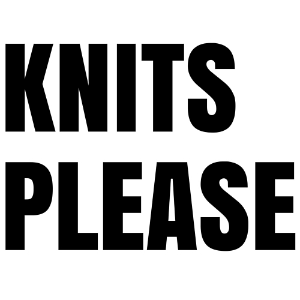 What knitting endeavours did you get up to in December? 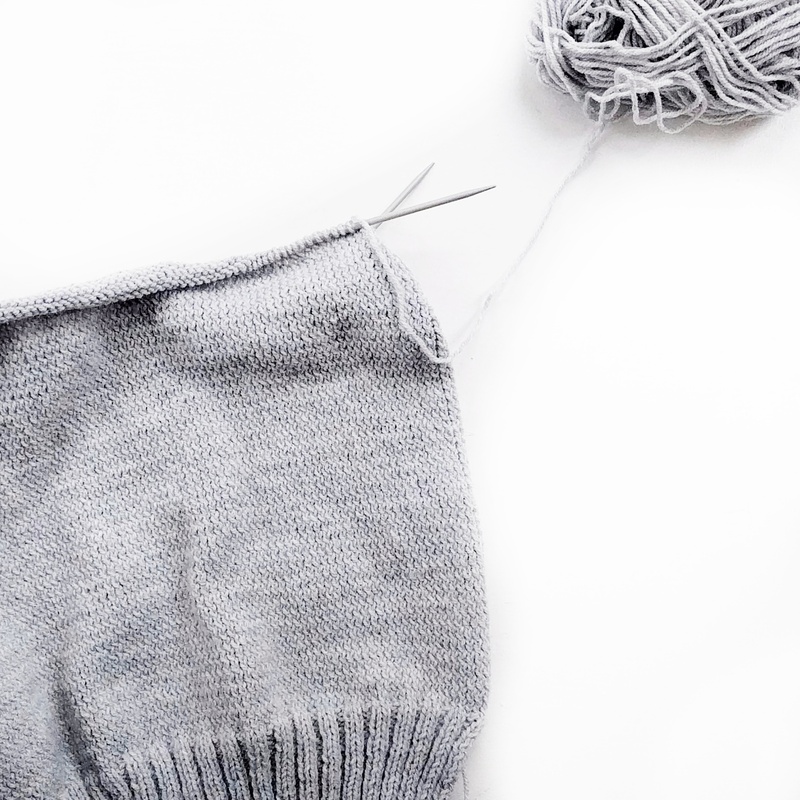 Were you knitting for yourself or working on gifts? I’d love to know!